Visiting Southern California is an incredible experience; especially when you centralize your stay by staying in Orange County. The climate and beaches are gorgeous, restaurants and historical attractions are plentiful, and there are just so many fun things to do in Orange County and surrounding areas that you’ll never want to go home. This is why our limo company is always ready to show you the way! ALS Limo and Car Services provides Orange County Tours and limousine rentals for groups of all sizes. Some of our most popular services include group transfers to and from Disneyland, Los Angeles Sightseeing, Temecula Wine Tasting, Orange County Brewery Tours, Casino Tours and more. 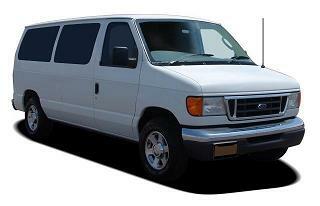 We supply a pristine fleet of limousines, buses and vans that make Southern California / Orange County sightseeing a treat. Plus, all of our luxury vehicles offer the space and comfort needed for touring; as well as the added convenience of a personal chauffeur that is dedicated to your comfort and safety! Select from our fleet of late model LA / Orange County limos: 6 to 16 passenger stretch limos, 24 passenger mini buses, 26 passenger limo bus, 14 passenger vans, 16 to 20 passenger SUV limos and luxurious sedans. All are well maintained, late model, vehicles ready to show you the sights Learn more about our SoCal / Orange County Limos. Whether you are visiting or living in Southern California, you will find that our portion of the state is rich in entertainment, culture, business opportunities and interesting sites for all ages. You can get lost in the Los Angeles, San Diego, Riverside, San Bernardino and Orange County festivities! Southern California Casino Bus Tours are available, too! We welcome you to Subscribe To Our Newsletter and receive 3 coupons that you can use towards your sightseeing tour service. Enjoy your time spent with the ones you care about and save money on your tour of Los Angeles, Orange County, Riverside or San Bernardino. Book now online are call us at 1-844-4-ALS-Limo (Toll Free) to reserve your limousine tour and don’t forget your limousine tour coupons when you subscribe to our newsletter!